A congressional oversight panel is beginning an investigation into the travel costs of top White House and agency officials after reports that Cabinet members have spent hundreds of thousands of taxpayer dollars for private-jet flights many claim were unnecessary. House Oversight and Government Reform Committee Chairman Rep. Trey Gowdy, R-S.C., and ranking member Rep. Elijah Cummings, D-Md., sent letters to White House Chief of Staff John Kelly and the heads of 24 major federal agencies requesting information on all flights taken by political appointees on government-owned and non-commercial private aircraft since January 20, the day of President Trump’s inauguration. They also asked for documents describing policies for flights by non-career officials. “Under 5 U.S.C. § 5733, official travel on the part of federal employees must be ‘by the most expeditious means of transportation practicable’ and ‘commensurate with the nature and purpose of the [employee's] duties,’ and by no means should include personal use,” Gowdy and Cummings wrote. 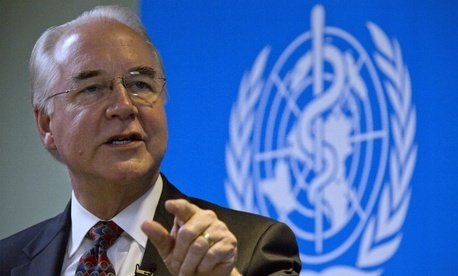 The congressional probe gained momentum after multiple outlets reported that Health and Human Services Secretary Tom Price had repeatedly chartered private jets for travel to places easily accessible by commercial flights. When asked on Wednesday if he planned to fire Price after the controversy, President Trump told reporters, “we’ll see.” He said he is “not happy” with the HHS chief. On Friday, Cummings sent a separate letter directly to Price requesting documents, and he also wrote to Gowdy demanding a hearing on the issue. As the top Republican and Democrat on the House Oversight and Government Reform Committee, their joint letter showed the investigation has garnered increasingly rare bipartisan support. Agencies must submit the information to the committee by Oct. 10. Last Thursday, Politico reported that Price had booked at least 24 private flights in recent months while addressing issues like disaster response and a Republican health care plan. The estimated total cost of the flights exceeded $300,000, according to federal contracts and travel logs. Because the travel was for official business, the flights were booked using taxpayer money. Unlike his Obama-era predecessors, Price has often opted to fly private instead of commercial, even when plenty of cheaper options are available. On Sept. 15 he chartered a private flight from Washington, D.C., to Philadelphia, which Politico reported cost about $25,000 round-trip. The same flight, which lasts between 30 and 40 minutes, can cost less than $500 round-trip on United Airlines, even if booked the day before. Many have also begun questioning whether the secretary’s costly travel has always been for official business. A Politico story published Tuesday revealed that some of Price’s more dubious trips have included visits with former colleagues and lunch with his son. Price is not the only member of the Trump administration to come under fire for expensive travel habits. Small Business Administration head Linda McMahon frequently flies private for official travel, according to Buzzfeed, and Education Secretary Betsy DeVos has also used her private plane to visit schools around the country, AP reported. However, both officials have said they personally fronted the travel costs. Treasury Secretary Steve Mnuchin was also called out when reports revealed he had requested a military jet to fly to Europe with his wife for their honeymoon this summer, citing “national security” concerns. The Treasury Department’s inspector general is also investigating a trip that Mnuchin took to Kentucky that coincided with August’s total solar eclipse.